It's simple. This Father's Day, give dad the gift he'd give himself. 4G LTE "Rule the Air"
It's all about the 4G Network and comparing it to LIGHTNING BOLTS!! 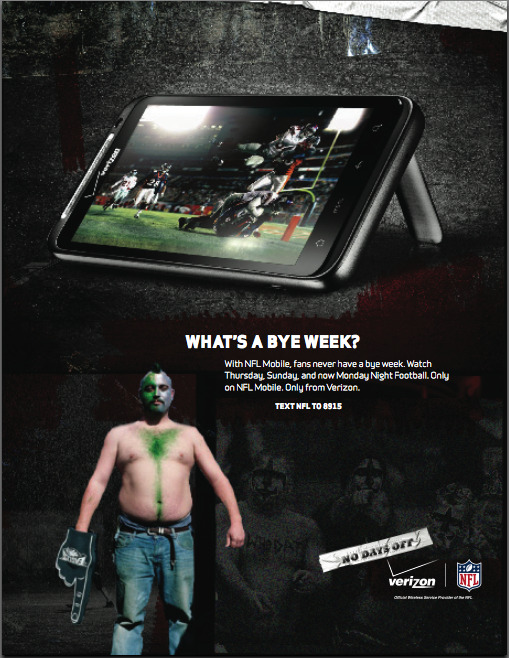 To push NFL Mobile's new 24/7 coverage package, we appealed to the crazed fanatics who take NO DAYS OFF from football. With some show footage and a couple Simon soundbites, I cobbled this together.